Discover how the high cost of healthcare impacts Americans' personal finances, individual healthcare choices and perceptions of the U.S. healthcare system. A new survey from West Health and Gallup reveals financial hardships but gaps between political parties on the overall quality of the system. Every day, Americans are burdened by the strain and fear of ballooning healthcare costs. Yet despite the hardships many Americans endure, 64% say they are "completely" or "mostly" satisfied with their personal experience of the healthcare system. Additionally, one in four skipped a medical treatment because of cost, and in the past year alone, Americans collectively borrowed an estimated $88 billion to cover healthcare costs. Partisan divides split Americans' perceptions of the healthcare system's quality. While 48% of the general population believes that the quality of care in the U.S. is the best or among the best in the world, this swells to 67% among self-identified Republicans, compared with just 38% among Democrats. 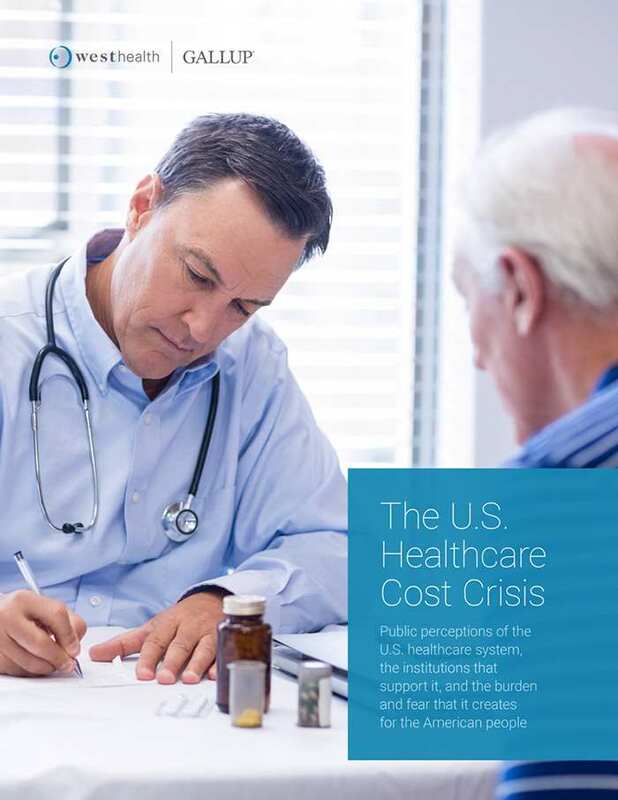 Download this report about the nation's views on the healthcare cost crisis. To receive an email with a link to download this report, please complete this form. A Gallup expert or West Health representative may contact you via email about your interest in this topic.